King Philippe of the Belgians, European Commission Vice President Maroš Šefčovič, UN Special Envoy for Climate Action Michael R. Bloomberg and other international guests gathered to celebrate the establishment of Global Covenant of Mayors for Climate & Energy’s Global Secretariat in Brussels, supporting cities around the globe in the fight against climate change. Organized with the support of Eleven3, the ceremony was an opportunity to highlight the central role cities play in meeting the objectives agreed in the Paris Agreement. The Global Covenant chose to host its global headquarters in Brussels due to the city’s increasing relevance as a world center of political decision-making, strategically placed to facilitate a close collaboration with the international political community, as well as the scientific community, financial institutions, and subnational players from across the globe who share the long-term vision of moving to a low emission, resilient society. 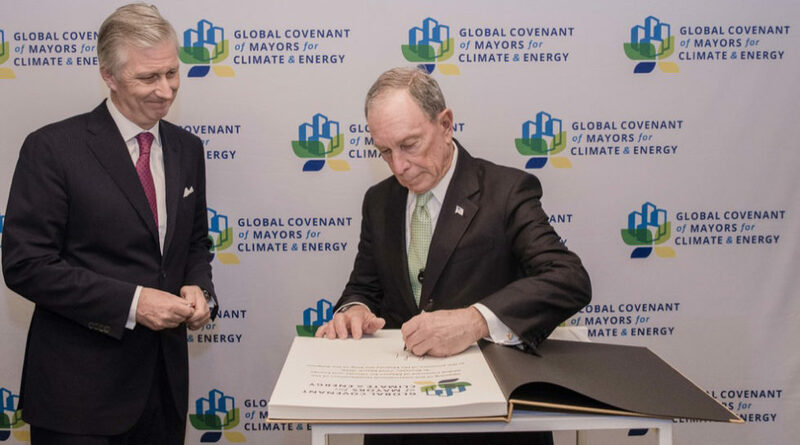 The Global Covenant of Mayors, created in January 2017, is the largest and first-of-its-kind global coalition of cities and local governments to combat climate change. Cities account for more than 70% of global energy-related GHG emissions and are the places where the effects of climate change are already most severely felt, but also where concrete climate action can be implemented most efficiently through on the ground action in areas such as such as buildings, transportation, energy and waste. The coalition comprises thousands of cities across 6 continents and more than 120 countries, representing over 700 million people or almost 10% of the global population. 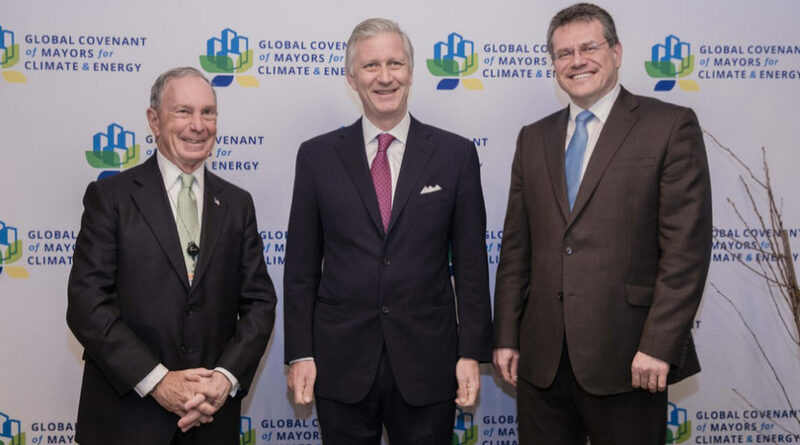 By 2030, Global Covenant cities and local governments could collectively reduce 1.3 billion tons of CO2 emissions per year from business-as-usual. This equals the emissions of 276 million cars taken off the road. Belgium is very actively engaging in the Global Covenant through the regional EU Covenant of Mayors as around 300 Belgian cities have signed up to the Covenant of Mayors.